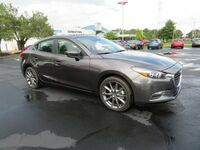 The Mazda3 and Toyota Corolla are natural and fierce rivals in the compact sedan class of the automotive industry. There are quite a few similarities between the two models. However, for the new model year, Mazda has revised the powertrain equipment for the 2018 Mazda3, added collision avoidance systems to more trims and shuffled what additional equipment packages are available. 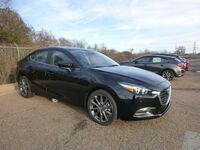 A comparison of the 2018 Mazda3 vs. 2018 Toyota Corolla very clearly illustrates why people ready for an affordable, well-equipped compact sedan should visit the Gwatney Mazda of Germantown to take a closer look today. 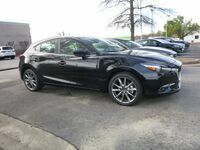 The current Mazda3 available in the showroom makes more power and gets better fuel economy scores than its Toyota rival. You can schedule a test drive with the 2018 Mazda3 by calling, 833-241-6312. One of the areas where customers are likely to see a noticeable difference between the 2018 Mazda3 and 2018 Toyota Corolla is the quality of the materials to build the passenger cabin. 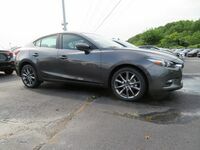 Both vehicles offer a strong value for buyers, however, independent reviews have almost nothing but good things to say about inside of the current Mazda3. They particularly like how plastic elements have been textured and how many surfaces are covered with a soft-touch material. Conversely, the 2018 Corolla was taken to task for using hard plastic in a lot of common touch points. From a practical standpoint, the 2018 Mazda3 also gains praise for offering plenty of storage for every-day-carry items like smartphones, sunglasses and water bottles. The same reviewers pointed out some of these convenience features are lacking in the Corolla. 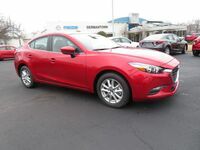 Base trims of the 2018 Mazda3 are powered by a naturally aspirated iteration of the automaker’s SKYACTIV®-G 2.0-liter, four-cylinder engine that is attached to a six-speed manual transmission. However, all trims can be outfitted with a six-speed automatic gear-changer if a buyer so chooses. It will produce 155 horsepower and 150 pound-feet of torque. Touring and Grand Touring models will pick up a 2.5-liter, four-cylinder engine that will make up to 184 horsepower and 185 pound-feet of torque. By comparison, owners of the 2018 Ford Focus start out with a 2.0-liter, inline four-cylinder engine that is mated to a five-speed manual and peak output of 160 horsepower. Even with the eventual disparity in performance, the 2018 Mazda3 is able match or surpass the fuel economy scores recorded by the 2018 Focus.